Figure Skating Mystery: Death Drop Available Now! Today is the big day! 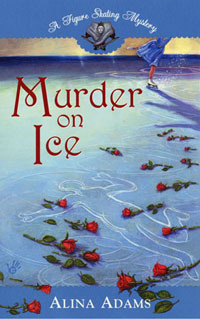 My fourth Figure Skating Mystery, Death Drop, is officially available in bookstores everywhere and/or near you! (Also on-line. And in libraries. And check with those guys who sell books on the street; they're known to be huge figure skating fans). 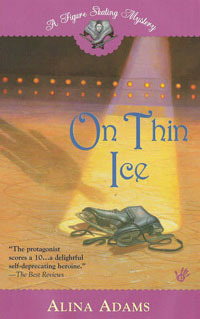 Death Drop, more than any of the previous Figure Skating Mysteries, was written in response to reader imput. After On Thin Ice, so many people commented on how they'd like to read more about the relationship between Bex and Craig, that I made it a key subplot in the next book I was writing. 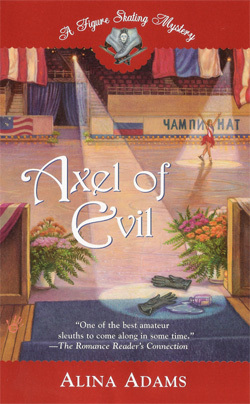 (I couldn't add it to the next sequential book, Axel of Evil, because it was already outlined and half written when On Thin Ice hit the shelves). So thank you everyone for your suggestions and your support. I truly couldn't do it without you!